TACOMA, WA. – With the Tacoma Stars (11-12) loss in Monterrey on Sunday, their playoff destiny was partially placed in the hands of the Ontario Fury. Tacoma must win Friday night against the Turlock Express (3-20) and, combined with an Ontario loss at home to Monterrey on Sunday, Tacoma will advance to the playoffs. The Stars will be going for the season series sweep of the Express having won the first four meetings by a combined score of 35-19. Ontario is 0-2 against Monterrey this season. Focusing on Friday’s game, the Stars will take the field at Turlock Indoor Soccer with the MASL leader in points (75), assists (40), and points-per-game (3.3) in Nick Perera. Perera’s 35 goals place him third in the league in that statistic. Mike Ramos, improving on his last season point total by 16, sits second on the team in scoring with 41 heading into the final regular season game (26G-15A). Philip Lund (22 pts), Joey Gjertsen (19 pts), and Pablo Da Silva (16 pts) round out Tacoma’s leading scorers. Turlock will wrap up a disappointing season Friday, currently in last place in the Pacific Division with a -104 goal differential. They are led in most offensive categories by Omar Tapia and his 35 points on 23 goals and 12 assists. Jorge Carmona has 22 points on the year (12G-10A), and Matthew Germain (7G-9A) and Adrian Gonzalez (6G-10A) have 16 points each. Douglas Lima (15 pts), Carlos Manzo (14 pts), and Martyn Arista (13 pts) are also among Turlock’s top scorers. 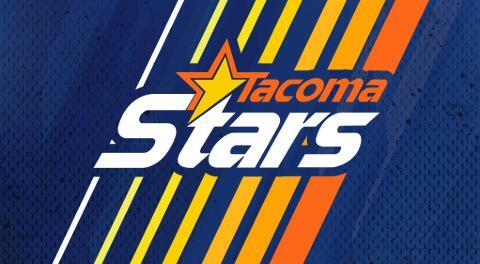 In their two previous meetings in Turlock, Tacoma notched a 6-4 win on February 22 and 9-5 on March 8.